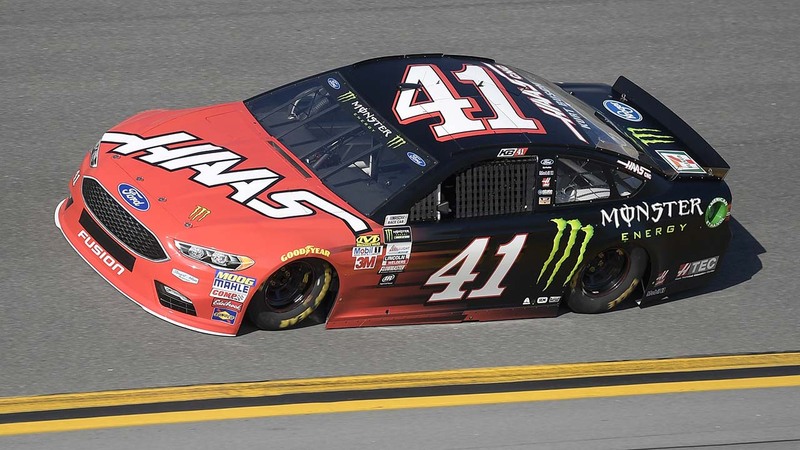 DAYTONA BEACH, FL (KTRK) -- Kurt Busch had a monster start to the season with a last-lap pass to win the crash-filled Daytona 500. Busch is sponsored by Monster Energy, which kicked off its first season as the title sponsor for NASCAR's top series Sunday with the season-opener. It wasn't NASCAR finest moment, though, as multiple accidents pared down the field and had a mismatched group of drivers racing for the win at the end. "The more that becomes unpredictable about Daytona, the more it becomes predictable to predict unpredictability," Busch said. "This car's completely thrashed. There's not a straight panel on it. The strategy today, who knew what to pit when, what segments were what. Everybody's wrecking as soon as we're done with the second segment. "The more that I've run this race, the more that I just throw caution to the wind, let it rip and just elbows out. That's what we did." It appeared to be pole-sitter Chase Elliott's race to lose, then he ran out of gas. So did Kyle Larson, Martin Truex Jr. and Paul Menard. As they all slipped off the pace, Busch sailed through for his first career Daytona 500 victory. It also was the first Daytona 500 win for Stewart-Haas Racing, which is co-owned by Tony Stewart. The three-time champion retired at the end of last season and watched his four cars race from the pits. "I ran this damn race (17) years and couldn't win it, so finally won it as an owner," Stewart said. Ryan Blaney finished second in a Ford. AJ Allmendinger was third in a Chevrolet, and Aric Almirola was fourth for Richard Petty Motorsports. The win was a huge boost for Ford, which lured Stewart-Haas Racing away from Chevrolet this season and celebrated the coup with its second Daytona 500 victory in three years. Joey Logano won in a Ford in 2015. The first points race of the Monster era was run under a new format that split the 500 miles into three stages. Kyle Busch won the first stage, Kevin Harvick won the second stage and neither was a contender for the win. NASCAR also this year passed a rule that gave teams just five minutes to repair any damage on their cars or they were forced to retire. But the race was slowed by wreck after wreck after wreck, including a 17-car accident at the start of the final stage that ended the race for seven-time and reigning series champion Jimmie Johnson and Danica Patrick. It was a particularly rough incident for Patrick and her Stewart-Haas Racing team, which had all four of its cars collected in the accident. "Just seems like that could have been avoided and was uncalled for," Johnson said of the aggressive racing behind him that triggered the accident.